Solid State Drives definitely add a good speed increase to your computer system enhancing boot speed and application load times. But at the moment they are still a little expensive for the average build. Super Talent is hoping to change this with its new line of Value SSD drives. 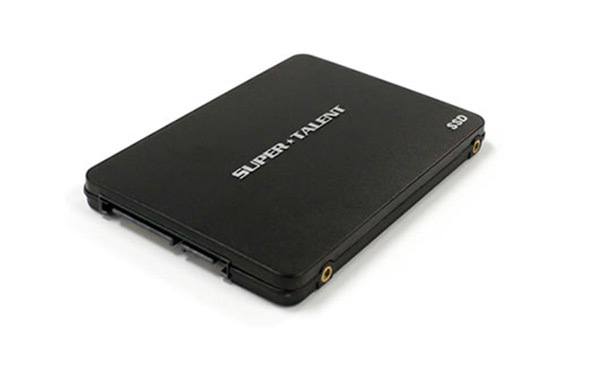 The new Super Talent VSSD’s are encased in a lightweight polymer to protect against physical damage and are equipped with SATA II ports with recorded read speeds of up to 150 MB/sec and sequential write speeds of 100MB/sec. The new Super Talent VSSD range are available in sizes from 8GB available for $65 upto 64GB for $175 and are currently available from Super Talent resellers worldwide. More information is available from the Super Talent website.